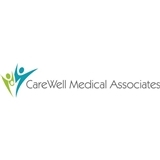 CareWell Medical Associates, PC (Jamaica) - Book Appointment Online! Great doctor, great bedside manner. Listens to my concerns and investigates, no rushing. Seems to really enjoy her job and is very knowledgeable. Great staff as well.